Have you found an online vendor selling Pampero Anejo Seleccion 1938? Pampero Anejo Seleccion 1938 rum is produced in Venezuela using rum that is aged 5-6 years in oak casks. 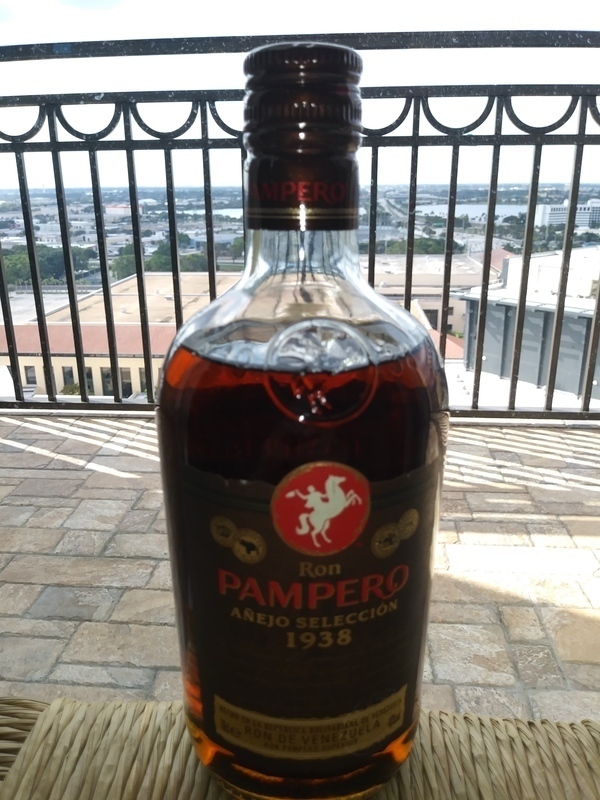 The Pampero distillery which produces Anejo Seleccion 1938 rum was founded by Alejandro Hernández of Venezuela in 1938. The brand is now a division of the world’s largest liquor company, Diageo. Not the most powerful flavour or taste. But for the relative Low price, you can't go wrong. Not a very sweet rum. Rok 1938 v názvu je připomínkou roku založení palírny. Zrání 5-6 let v sudech po bourbonu. Have found this a very pleasant rum to drink unmixed on ice. Sweetness without cloying, some bite and fire to it, some fruit-rind-type bitterness to offset the sweetness. Bit of a dry aftertaste, and no real complexity to it, but quite good for what's there. My thought is that this is one of the more solid rum offerings in this price range. The label on mine purchased in Europe, says it is bottled in Italy after being produced in Venezuela. Pampero Anejo Seleccion 1938 is a piece of my personal collection. After tasting Pampero Especial first I expected bigger differences in taste of Pampero Selleccion, but the difference wasn´t that much, only the smoothliness the core of taste. Také jako whiskey, ale trošku sladší a voňavější. Může být. Pampero Anejo 1938 is a very good base for your rum-and-coke, but it's too harsh to be a good neat sipper. Amazing how small the price difference between the Pampero Anejo 1938 and the truly magnificent Pampero Aniversario Reserva Exclusiva. I really enjoyed this. Alot smoother than I expected given the price. 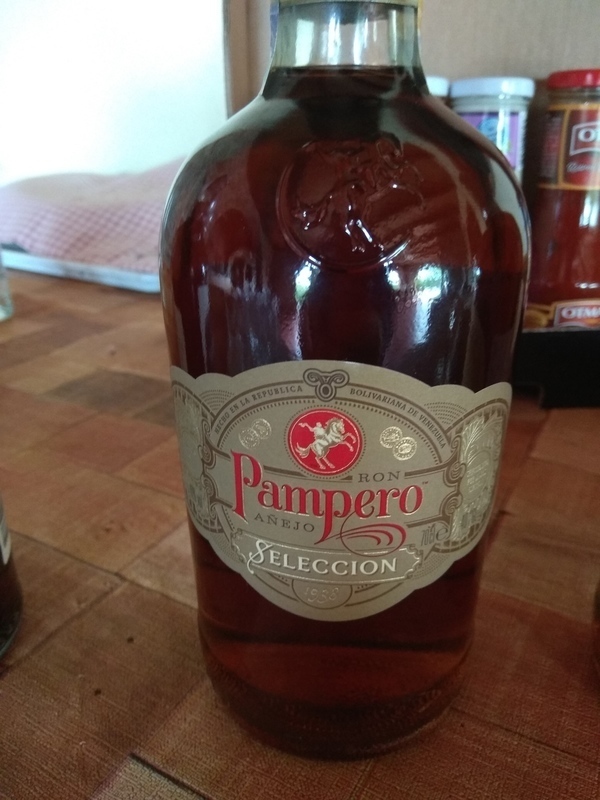 This should be the Pampero standard Anejo rum, but it's labelled as a special bottling. Priced near the Aniversario, i think that it's a decent on the rocks choice, good for everyday drinking and for cocktails. Widely available here, it's a rum that i don't see very often in bars and pubs, they still prefer the cheapest bottlings, drink cost comes first. Tomando en cuenta el rango al que pertenece, tiene un sabor y aroma muy especial, se puede tomar preparado en tragos, y se deja tomar solo en las rocas con vaso corto, muy agradable al paladar. Rum da chupito, commerciale e sufficiente per bevute di quantità più che di qualità. Does a decent job in drinks but you can find better rum for the same price.